The BAe 146 certainly has a considerable number of Irish connections – bringing the first regular, scheduled jet services to Belfast City Airport and thereby enhancing its status and viability, flying cargo nightly to Belfast International Airport for many years, conveying Royal, military and political VIPS to Northern Ireland and also flying for CityJet and Aer Lingus from Dublin Airport. 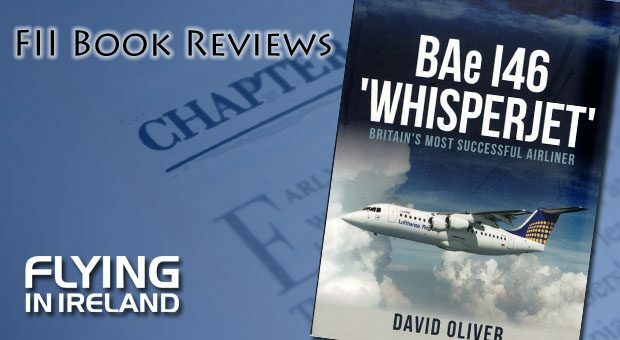 This book could perhaps be better described as an illustrated history as two thirds of it is devoted to a wide-ranging selection of many previously unpublished and, mostly in colour, photographs from the British Aerospace archive and elsewhere. 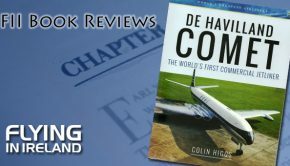 The text is well-arranged but is undoubtedly succinct, with just over thirty pages covering development, first flights, production, entry into service, airline operators, the RJ, the ill-fated RJX (abandoned after 9/11), military use (including a proposed air-to-air tanker role), cargo carrier, corporate and VIP transport, research vehicle, conversions and fire-fighter. There are plenty of very interesting bits of information – did you know, for example, that major components of the 146/RJ came from the USA, Sweden, Prestwick and Belfast, as well as five sites in England, with final assembly and flight testing at firstly Hatfield and then Woodford? 394 were built over a period of 20 years from G-SSSH to OH-SAP for Air Botnia. 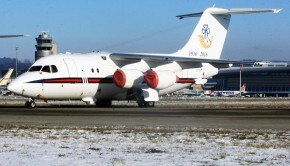 I also have a personal interest – our office in MOD PE was responsible for the purchase of two BAe 146s for The Queen’s Flight. This was a highly prestigious project for the company and required that the most exacting standards be met – even to the extent of the upholstery being tested against the possibility of laddering the Royal stockings. One morning in mid-1985, we went to BAe Hatfield for a routine project meeting. At lunchtime, we were told that the company demonstrator aircraft was available to fly us up to BAe Chester for the afternoon. The purpose of the trip was to give the Queen’s Flight pilots a chance to fly the aircraft and to let us all have a look at the factory where the completed airframes would be flown from Hatfield and fitted out. The pilots took the opportunity to test the short field take-off capability of the aircraft and gave its flight envelope and handling characteristics a good workout. We also called in at the Queen’s Flight base at RAF Benson for a practice landing. It was of interest to note that the more senior in rank, the less smooth the pilot was in handling the aircraft. The 146 itself impressed us all as being a most comfortable, spacious and quiet aeroplane. I also flew in ZD695 and ZD696 between Brize Norton and Aldergrove, while they were being evaluated by the RAF. 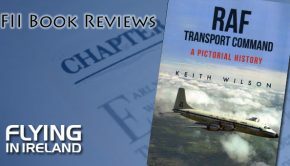 To return to the book, the author notes that, at time of publication, 220 146/RJ were in service with 61 operators and that another 50 aeroplanes were in storage. A life of a further 15 to 20 years in commercial service is predicted and also a new career dropping fire retardant. 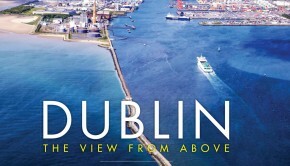 This is a very nice little book, with plenty of facts and information, as well as a wealth of photos.